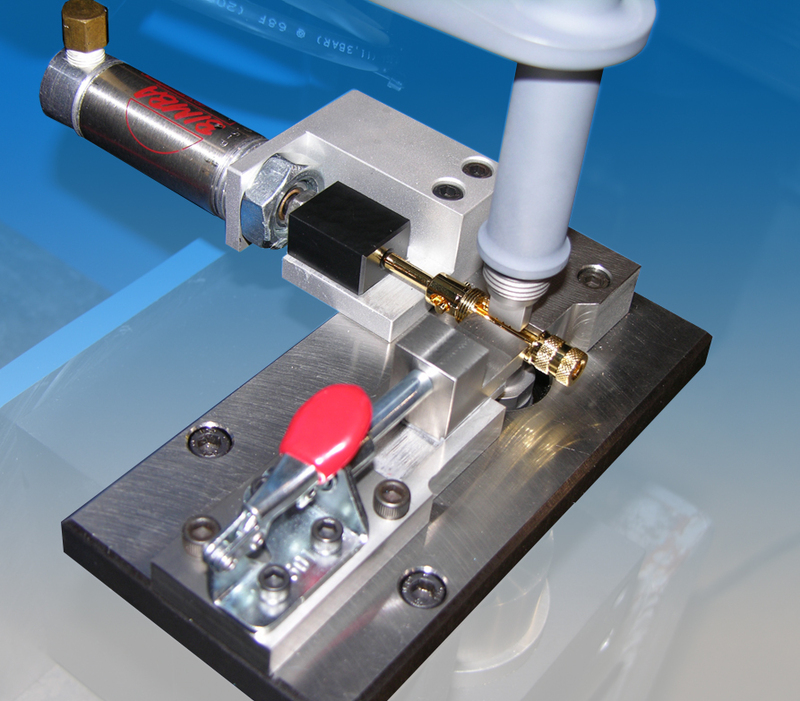 One aspect of our business that has continued to set us apart from our competitors is our patented Wedge-Reed Ultrasonic Welding System. 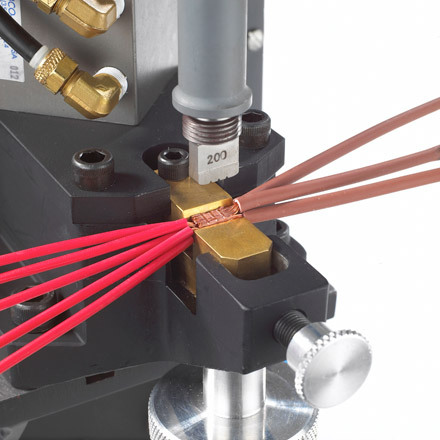 Specifically designed for high-impedance metal welding, it is the only ultrasonic system able to weld tin-coated and oxidized wires and terminals. 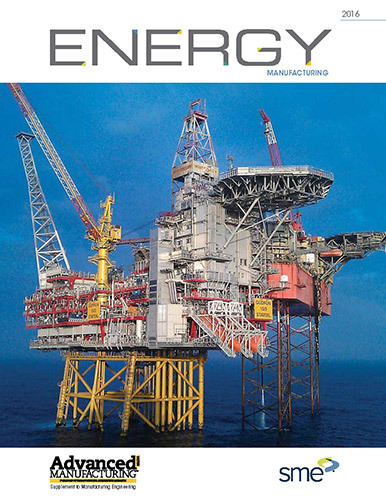 Manufacturers know they can rely on Sonobond for tooling modifications that produce superior welds for their wire-to-terminal and sheet metal applications. 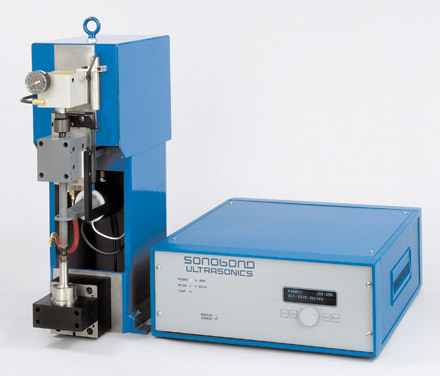 Manufacturers rely on Sonobond’s SonoWeld® 1600 Digital Metal Spot Welder and Dual Head Metal Spot Welder for fast, one-step ultrasonic welding. 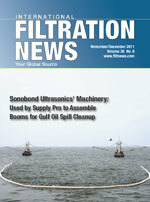 Thanks to the patented Wedge-Reed bonding system of high vibratory force and low amplitude coupling, Sonobond’s ultrasonic metal spot welders create true metallurgical bonds while reducing energy consumption and cutting production costs. 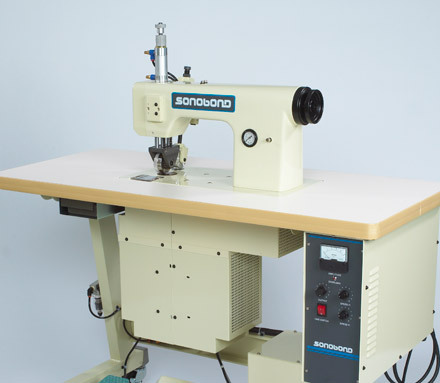 Manufacturers look to Sonobond technology for reliable, environmentally-friendly assembly of medical disposables, automotive filters, body armor, evening gowns, blankets, and a host of other products. Leading ballistic vest manufacturers rely on Sonobond Ultrasonics' equipment to help them comply with the tough standards set by the National Institute of Justice (NIJ). 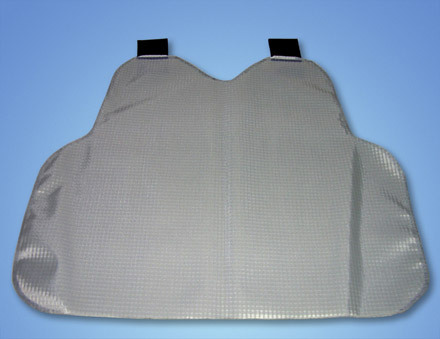 These standards mandate that body armor must be totally waterproof (see NIJ-0101.06). 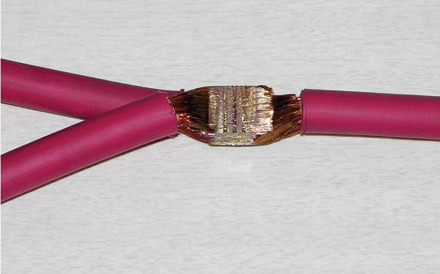 Unique Ultrasonic Wire Splicer Welds Bundles with Cross-Sectional Area up to 100 sq. mm. 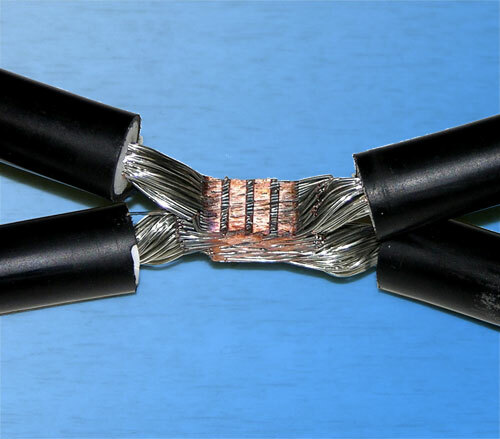 Dual Head SpliceRite™ Ultrasonic Wire Splicer is the only ultrasonic unit that can weld bundles up to 100 sq. mm. in just one pulse.